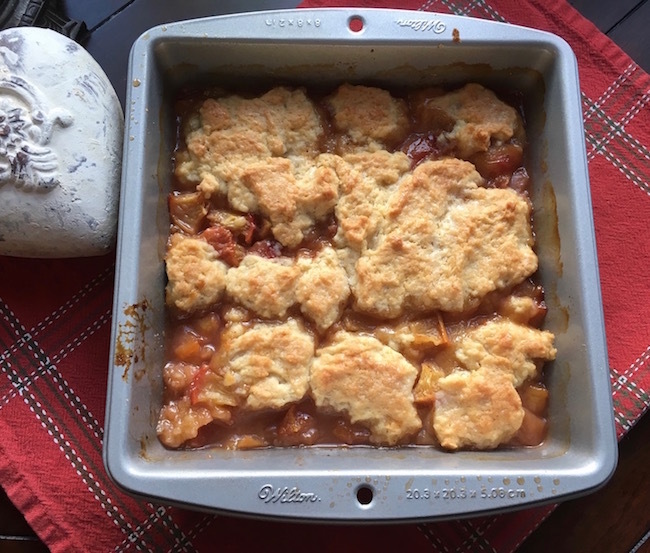 The Warm Peach Cobbler Recipe is brought to you by Just Plum Crazy. 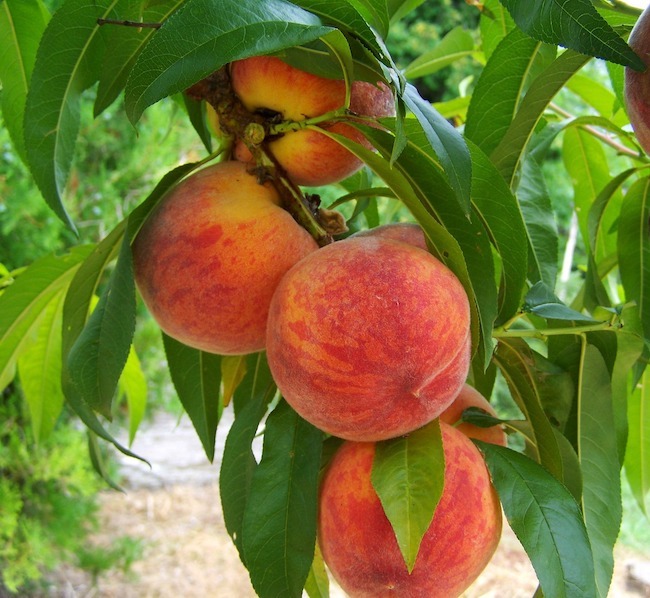 Happy National Peach Month! 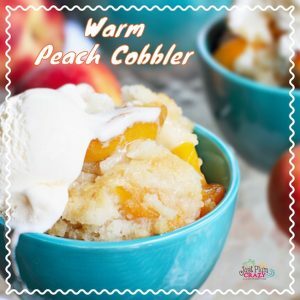 Nothing says “summer” like a warm peach cobbler recipe made with the freshest, juiciest peaches you can find. It’s one of those dishes that never tastes quite as good when you make it out of season – so be sure to enjoy plenty of it while you can! 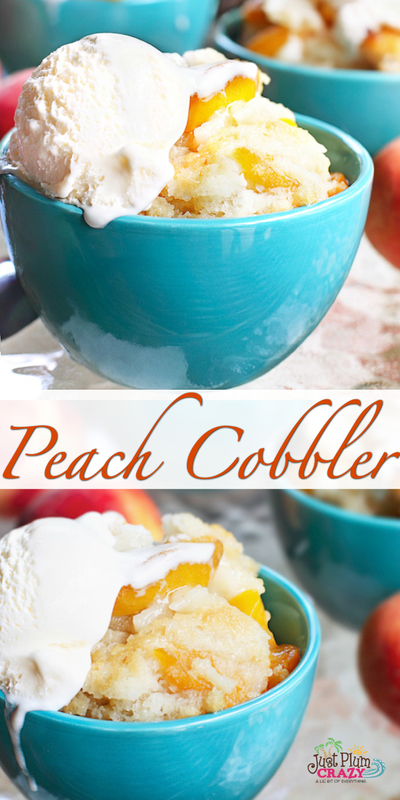 When I worked at Cracker Barrel, they had the most amazing Peach Cobbler. I would have that on my lunch break whenever possible. I miss those days but it always tastes so much better when you make it yourself. 1. Preheat oven to 400 degrees with the rack positioned in the center. 2. Add peaches, sugar, lemon juice, flour, salt, nutmeg, cinnamon and vanilla extract to a large glass bowl. Thoroughly combine ingredient before transferring to a greased 8×8” baking pan. 3. 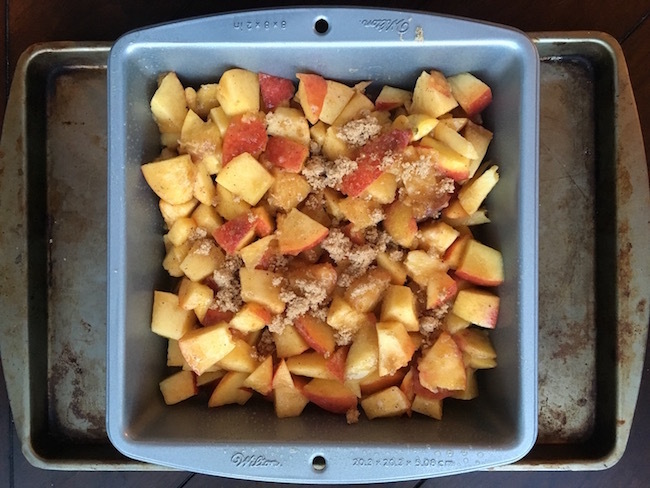 Top peach mixture with an even layer of brown sugar before placing pan in oven. Bake for 10 minutes. 4. 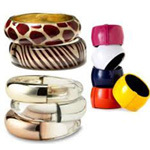 While baking, add flour, sugar, salt, and baking powder to a different bowl and stir to combine thoroughly. Remove chilled butter from refrigerator and chop into very small pieces with a sharp knife. Add butter to the bowl and combine with dry ingredients with your fingers. You should have small pebble-sized pieces of butter when finished. 5. Add heavy cream and water to the flour mixture and stir with a fork until all the dry ingredients are moist and somewhat sticky. Do not overwork dough. 6. Remove peach mixture from oven and carefully spoon dough over the top. Make sure the dough is the same thickness throughout so it cooks evenly. You can cover the entire surface, or do like I did and leave deliberate spaces in between. It looks more rustic that way. 7. Return pan to oven and bake for another 10-15 minutes, or until the topping begins to brown. 8. Remove from oven and brush the top with the egg white wash and sprinkle remaining sugar on top. Return to oven to finish baking, another 10-15 minutes. 9. Remove from oven when the top is evenly browned. 10. Remove from oven and allow pan to cool slightly. Serve alone or topped with your favorite ice cream and whipped cream. 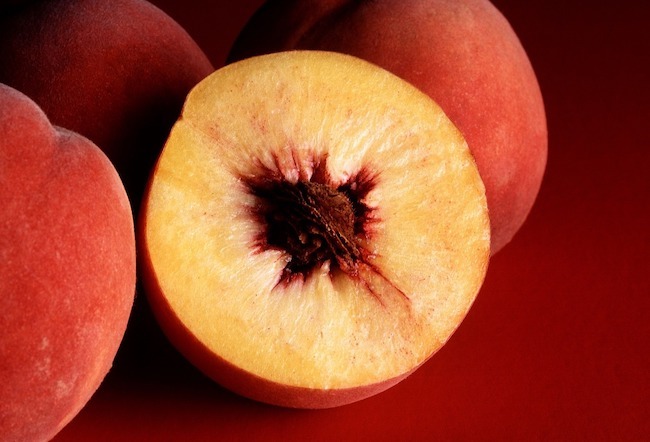 Happy National Peach Month! 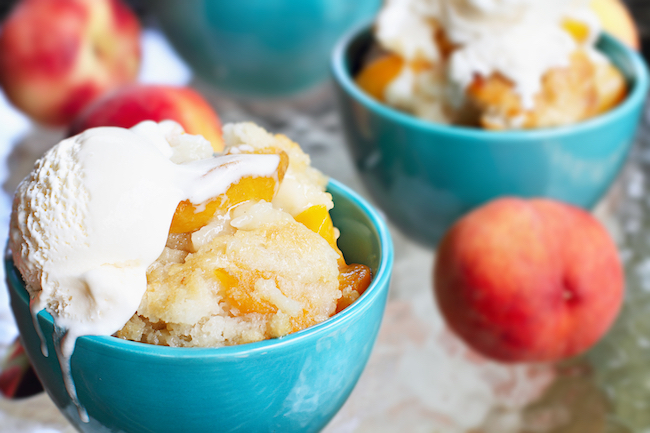 Nothing says “summer” like a warm peach cobbler recipe made with the freshest, juiciest peaches you can find. Add peaches, sugar, lemon juice, flour, salt, nutmeg, cinnamon and vanilla extract to a large glass bowl. Thoroughly combine ingredient before transferring to a greased 8x8” baking pan. Top peach mixture with an even layer of brown sugar before placing pan in oven. Bake for 10 minutes. Return pan to oven and bake for another 10-15 minutes, or until the topping begins to brown. Remove from oven and brush the top with the egg white wash and sprinkle remaining sugar on top. Return to oven to finish baking, another 10-15 minutes. Remove from oven when the top is evenly browned. Remove from oven and allow pan to cool slightly. 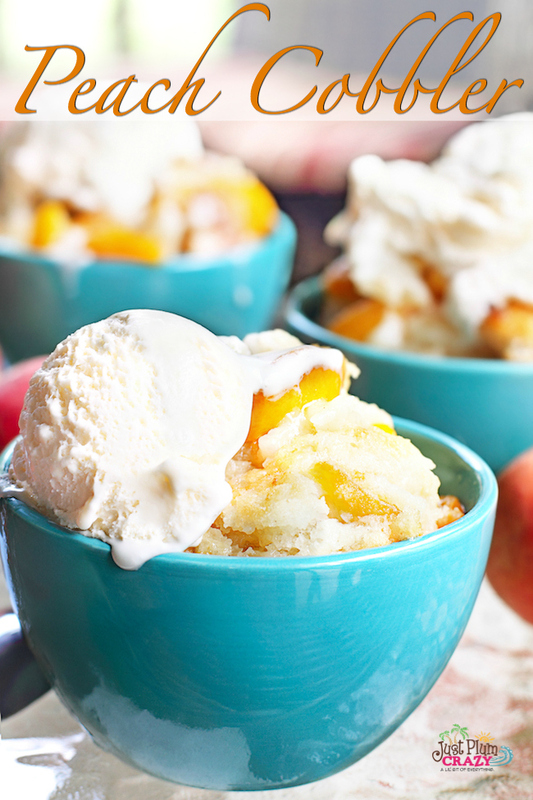 Serve alone or topped with your favorite ice cream and whipped cream.